The southwest to west oriented vineyard with 20 to 45% slope covers 12 hectares of vineyards. The soil consists of clay and clay weathering over Keuper and Muschelkalk. Here, the varieties Pinot Blanc ( Pinot Noir ), Pinot Gris ( Pinot Gris ) Müller-Thurgau, Pinot Noir ( Pinot Noir ) Zweigelt and Blue Portuguese cultivated. Shares in the situation have for example the wineries Gussek and tooth. The southwest-facing vineyards 130 to 150 meters above sea level cover 87 hectares of vineyards on red shale and quartzite soils. Here is mainly the variety Riesling grown. Shares in the situation have for example the wineries Allendorf. Chat Sauvage and Hamm Karl-Heinz. 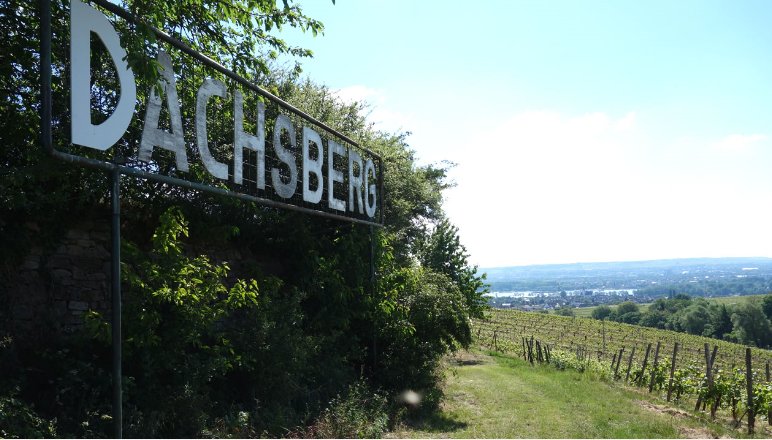 Other individual layers with the name Dachsberg exist in the municipalities and growing areas Brackenheim-Haberschlacht ( Wuerttemberg ) and Schierstein ( Rheingau ). In addition, there are the individual layers badger in Oberschwarzach ( Franconia ) and Dachsbuckel in Heidelberg ( to bathe ). This page was last modified at 26 April 2018 at 09:36.